Supervise your vehicles without interruption to control three key aspects of your business: remotely controlling operations, exploiting the incoming information and controlling cameras remotely. Among the different advantages an advanced communications platform can provide, remote management and monitoring of the bus fleet are vital for optimizing the business’s operation. 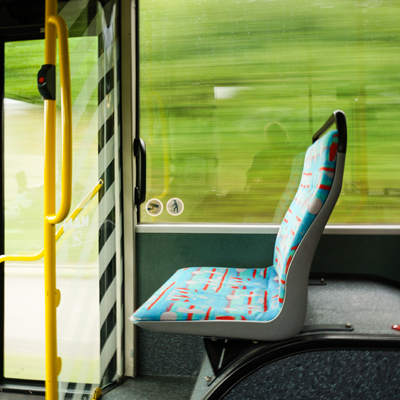 With the advent of advanced technology in the transportation industry, it is easier than ever for a bus company to monitor and remotely control certain aspects of its internal operations. To what extent can technology help? Are my routes optimal in terms of time, fuel efficiency and passenger satisfaction (e.g. too many corners in the routes, making it uncomfortable for the passenger)? Is the driving efficient in terms of fuel efficiency and traffic? If not, why, and can it be achieved with the aid of geolocation? Are there buses which are deviating from the agreed routes? If so, why, what is happening exactly? Is the passenger’s dimensioning correct? Is it possible to improve it? Is the fleet punctual in general? How about the Quality of Service (QoS)? Are the agreed or predetermined standards being met? How can the bus operator keep track of the unwanted behavior of its drivers (speed limits, illegal activities, non-compliance with agreed routes, etc.)? How can we have total control over any incidents that occur on the road (breakdowns, accidents, etc. ), in order to coordinate fast responses from the control operation center? Vehicle insurance and tracking capabilities: is your fleet ready to provide insurance companies with the demanding geolocation standards they require? And last, but not least, can it all be provided within a single device, and with the highest level of reliability? Another key aspect, normally disregarded without the combination of an on-board PC plus a communications device, is the exploitation of the information received from different vehicles. The Operation Aid System (OAS) can only be used with the presence of a highly reliable communications device that enables the uninterrupted and secure flow of data. The aim of an OAS is to generate statistics to, ultimately, monetize them, but it is of no use if communications are not ensured. Very simple interconnection with the on-board PC, via Ethernet, Wi-Fi or Rs-232. Additionally, simple interconnection with other possible devices such as Satellite Antennas of Digital Terrestrial Television devices is advantageous. Minimal use of bandwidth, optimized so it is therefore fully compatible with other services that cannot be used without a certain amount of bandwidth. Immediate availability of geoinformation (geographical position, speed, routing history, etc.) from the vehicles, so applications that demand it can have it at their entire disposal. The centralization of on-board security cameras (CCTV) via the communications platform is a key feature regarding operations. Situations that might require the activation of emergency protocols (on-board incidents, fast responses to medical conditions, etc.). Communications designed to prioritize emergency traffic over other uses, such as on-board entertainment. Preparing emergency services before they arrive, minimizing management time of the incident and determining liabilities. Of course, the use of encrypted communications is a must in the case of secure operations, making sure that no third parties intercept the data sent over public networks. As previously pointed out, without continuous incoming geoinformation from vehicles, operations (and the many applications associated with them) cannot be carried out effectively. Can CCTV systems reduce the insurance costs of your fleet? The answer is yes, since CCTV systems enable the liabilities of accidents to be determined and therefore minimize risk for insurance companies. How can a fleet operator make full use of this new scenario? Full control over your vehicles and optimization of operational costs at the click of a mouse. 4G/LTE mobile coverage is finally good enough to offer true broadband capabilities and support wireless services on vehicle fleets on the go. This has facilitated the surge of new market applications that offer real-time communications that can, specifically in the operational field, directly impact the profit and loss statement of transportation companies. Communications available no-matter-what, and no breakdowns. How? By providing multiple-SIM links and a rugged device. Minimal use of bandwidth, so that it is optimized to share exceeding bandwidth with other services. GPS integrated and NMEA standard, so that the resulting system is very simple to integrate in communications and applications. High availability and reliability in communications. Minimal use of bandwidth, optimized so it is therefore compatible with other services. Very simple interconnection with the on-board PC, via Ethernet, Wi-Fi or Rs-232. Again, GPS integrated and NMEA standard for geolocation tasks. High availability, with data stored locally but with automatic delivery to a central point via Wi-Fi. Several cameras (CCTV) + DVR, all of them integrated into a single switch, with several high-speed Eth connections available. Wi-Fi cameras (working as AP if necessary). Automatic download of video data at depots (client mode), by means of geofencing capabilities: the communications platform automatically detects when the bus enters the depot and proceeds to activate the Wi-Fi mode, downloading the data without using the LTE link. Additionally, the device does not automatically power off with the bus, but instead employs a delayed power-off system to complete the data download. Temperature sensors for automatic power off and power protection, with the corresponding certifications to ensure its correct operation. A wide range of security mechanisms implemented (IPSec, encrypted data, VPN tunneling…). Reduce costs and headaches by having a single communications platform that embeds all the previous features. It is, after all, perceived as one of the most important aspects upon choosing a bus company. Use the extreme reliability our communications platforms offer to optimize punctuality at all levels, including the current state and predictions of traffic jams thanks to the combination of LTE and GPS real-time data. Reducing vehicle speed. Various studies outline that driving at an adequate speed can save from 7% to 14% on fuel consumption. Most GPS vehicle tracking solutions provide accurate speed information on each vehicle tracked, but only the best GPS solutions also include alerting features to notify, immediately, when a vehicle exceeds a predefined speed limit. Have reliable communication system alerts for drivers to continuously improve their driving performance. Decreasing idle times. According to the Ford Motor Company, every hour of idle time equals 25 miles of driving. GPS tracking systems communicating in real time help you reduce fuel costs by notifying when a vehicle idles for too long, which can waste fuel and decrease productivity. Improving routing and dispatching. Having a real-time, precise location of every vehicle helps dispatchers to manage routing and dispatching effectively. This is important to ensure that vehicles take the most direct route to any job site without getting lost. Synchronization with current traffic conditions allow drivers to be diverted around delays resulting in improved vehicle fuel efficiency. Depending on the routes and previous dispatching tasks the fuel savings could be up to 25%. Proper vehicle maintenance. Vehicles that receive regular maintenance run more efficiently and use less fuel than neglected vehicles. Real-time communication enables remote alert management based on calendar time, engine on-time, or mileage depending on the type of service needed. Other uses. For instance, this technology can alert drivers about how their acceleration and braking influences the energy consumption of the vehicle. Moreover, if this system is connected to a centralized system it allows the detection of best practices, the creation of training programs and scheduling of incentives to promote those best practices among the rest of the drivers. The use of advanced products such as VRF, VLANs, QoS and Policy Routing, together with multiple WAN links, enables logical separation of each service and management of different solutions sharing the communications. The existence of a SIP server and a GSM Gateway allow money savings on calls, and voice capabilities are maintained in case of a failure in the data network. In terms of security, if the data network fails, emergency calls can be held through the data network. This is vital to maintain communications with bus drivers in difficult situations that might arise. Sensors included for automatic power-off when temperature goes above the limit: our devices do not break down! Make sure drivers are fulfilling their duty and being punctual. 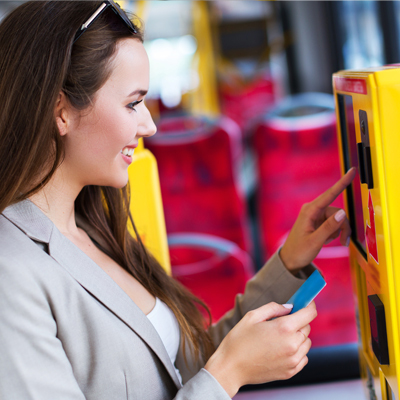 Plug in digital odometers by using our Ethernet ports, in order to control your buses’ routes. Temperature sensors for special vehicles, moisture meters… As long as it can be plugged in by means of an Ethernet cable, the sky is the limit. Driving Management Systems. Having a connected bus console which informs the fleet management center and the driver about the efficiency of their driving allows best practice from the driver and a best practices analysis at the headquarters, for recommendations and training. Systems installed in fleets all over the world have resulted in fuel reduction amounting from 10% to 15%. Teldat’s experience in some of the most demanding sectors in the economy, such as banking or telephony, is our most valuable quality assurance. This is the reason why we can put at our customers’ disposal the most advanced mobile technologies, and also why manufacturers without this background are unable to match Teldat’s unique added value. Our own proprietary operating system (C.I.T.), not based on Linux/Unix, and thus virtually impossible to crack. High–Density Wi-Fi, with several simultaneous Access Points (APs) that can operate both as a client and server to provide 3G/LTE Internet connection to all passengers and their multiple devices. This permits the use of on-board Internet and premium Wi-Fi, among others. Multiple-SIMs enable the use of several carriers simultaneously, allowing users to stay connected even when vehicles are going through areas with low coverage. Switching capabilities, includes four Gigabit-Ethernet ports that permit connection to virtually any external device. This is yet another indicator of our communications platforms’ extreme versatility, as its interoperation has been tested with a great variety of external devices, such as satellite antennas. Load Balancing and Bandwidth Aggregation. High performance ensured even in scenarios with over 50 passengers. Dynamic Link Selection and Bandwidth Prioritization. © 2018 by Teldat SA.